We offer our customers a prominent range of Cutting & Crimping Tools that are manufactured with top quality raw material with the help of advanced machinery. 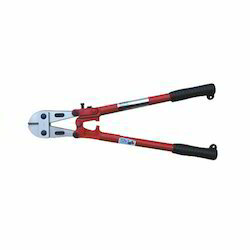 We are offering Hand operated Hinged Pipe Cutters with best technology to cut the Cast Iron, Ductile Iron and Mild Steel pipes with four wheel cutters with only 90° to 110°. 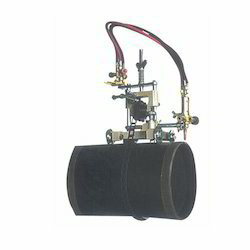 Its spring action guides help to alignment on pipe for correct cutting. Wheels cutters are made of high shock resistant tool steel. It is used at trenches, running pipe lines where under water, in pits and in noise free zones etc and it is available up to 12” only. 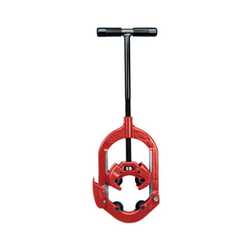 We are engaged in providing a wide range of Pipe Cutter. 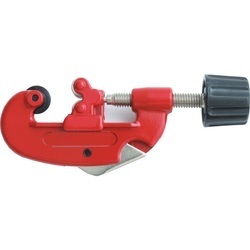 Manual operated strong SG Iron casted body Pipe Cutters having one cutting wheel and two guide roller helps to cut fast, clean and tapper without any electricity. A long handle is provided for quick, easy and adjustable on different size of pipe for cutting up to the capacity. Special cutting wheels for stainless steel pipe are also available on request. we firmly believe in offering wisely manufactured gamut of Gas Pipe Cutting Machines to our esteemed customers made by high extension aluminium precision Die-Casting, good quality gas hose lock up the pipe tightly by chain, are easy to setting & operate adjusting the pitch of the chain to fit the diameter of the pipe cutting groove side face can be "I", "Y", "V" (45°). 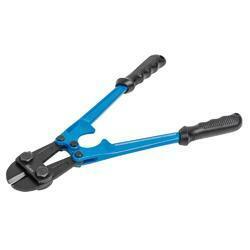 We offer a high grade range of Tube Cutters. One cutting wheel and two rollers are suitable for cutting Copper, Brass, Aluminium, PVC and thin wall thickness pipe upto 30 mm. It is fitted with a Reamer. These are provided in different specification to meet the diverse requirement of client.